 Tekton Ministries requires a deposit of $300.00 per person at the time of booking. This deposit forms a part of your final payment which is due 75 days prior to departure. Reservations made within 74 days of departure must be accompanied by payment in full. Payments made by credit card will incur a convenience fee. Any reservations received within 45 days of departure will incur a late booking fee of $100.00 per person. Pilgrimage prices are based upon a number of total pilgrims. Surcharges may be assessed for smaller group sizes. All cancellations must be in writing. The following per person cancellation charges will apply in addition to any airline penalties and charges incurred by our suppliers: If canceled 91 days or more prior to departure, a $75.00 administrative fee will be charged. If canceled 90 ‐ 31 days prior to departure, $150.00 will be charged. If canceled 30 ‐ 15 days prior to departure, $450.00 will be charged. If canceled 14 ‐ 7 days prior to departure $700.00 will be charged. No refunds will be made within 6 days of departure. In addition, once the airline tickets have been issued, 100% of the airfare is non‐refundable unless you have been advised otherwise at the time of your booking. A passport which is valid for 6 months past the date of your return flight home is required of all U. S. citizens. U.S. citizens do not require visas for most countries. If you are not a U.S. citizen, please call to find out if you need a visa. Tekton Ministries is not responsible for individual visas or passports. Accommodations are based on double occupancy rooms with private facilities. A limited number of single rooms are available at the supplement quoted and should be requested at the time of booking. Air travel is in economy class onvarious IATA carriers. Fares are based upon levels in effect at the time of printing and fares and flight schedules are subject to change without notice. Each passenger is allowed one checked bag and one carry‐on. Tekton Ministries is not responsible for lost, damaged or stolen baggage. We strongly recommend that you purchase comprehensive travel insurance for your trip. Registration information will be provided upon receipt of your deposit. Passport/visa fees, airline taxes/fuel surcharges, gratuities, personal travel insurance, laundry, beverages and items not on the regular menu of included meals, excess baggage charges, optional sightseeing and expenses of a personal nature. Subject to the foregoing Cancellation Terms, upon cancellation of travel related services, all sums paid to Tekton Ministries/George’s International Tours for such services will be promptly returned to the passenger, provided the passenger has not caused such cancellation and is not in violation of any of the terms and conditions previously, clearly and conspicuously disclosed and agreed to by the passenger. This refund provision does not apply where Tekton Ministries/George’s International Tours has remitted the payment to another registered seller of travel or a carrier and they default in providing the agreed‐upon transportation or service without providing a refund. In such a situation, Tekton Ministries/ George’s International Tours agrees to provide passenger with a written statement accompanied by a copy of the bank records establishing the disbursement of the payment, and if disbursed to a seller of travel, proof of their current registration. California law requires certain sellers of travel to have a trust account or bond. George’s International Tours has such a trust account. George’s International Tours is a participant in the Travel Consumer Restitution Corporation (“TCRC”). You, the passenger, may request reimbursement from TCRC if George’s International Tours was registered and participating in the TCRC at the time of sale and the passenger is located in California at the time of payment. Please be advised that passengers purchasing from outside of California are not covered by the TCRC. Eligible passengers may file a claim with TCRC if the passenger is owed a refund of more than $50 for transportation or travel services which George’s International Tours failed to forward to a proper provider or if such money was not refunded to you when required. The maximum amount, which may be paid by the TCRC to any one passenger is the total amount paid on behalf of the passenger to George’s International Tours, not to exceed $15,000. A claim must be submitted to the TCRC within six months after the scheduled completion date of the travel. A claim must include sufficient information and documentation to prove your claim and a $35 processing fee. You must agree to waive your right to other civil remedies against a registered participating Seller of Travel for matters arising out of a sale for which you file a claim with the TCRC, if you were located in California at the time of the sale. You may request a claim form by writing to: Travel Consumer Restitution Corporation, P.O. Box 6001, Larkspur, CA 94977‐6001; or by faxing a request to 415‐927‐7698. Tekton Ministries, George’s International Tours and/or their cooperating selling agents and/or their suppliers of services offer these tours for sale only on the express understanding that they themselves do not perform or in any way assume liability for the performance of the individual components, transfers, hotels, flights, car, motorcoaches, etc. of these tours and act only to combine these components into a single unit of sale for the convenience of the general public, and are not responsible therefore, either directly or indirectly, for any loss, accident, or injury which may result from any act, omission, negligence in or responsible for performing or providing these component services. The transportation companies concerned take no responsibility for any act, omission, or event during the time the passengers are not aboard their conveyances. The passenger contract issued by the transportation company shall constitute the sole contract between the transportation company and the passenger. Additional expenses incurred as a result of delay, change of schedules, illness, weather, strikes, hostilities, quarantine, government requisition of hotel space or any other reasons beyond the control of the tour operator or travel agent shall be borne by the passenger. Tour operator reserves the right to substitute hotels of similar category if necessary and to alter itineraries. Your deposit certifies that you agree with the above terms and conditions.